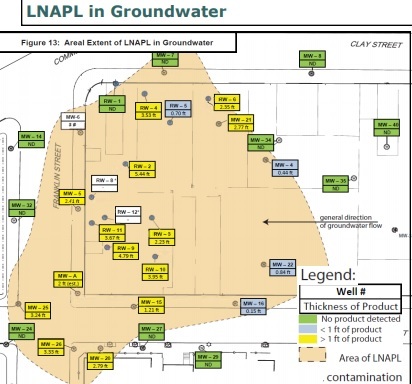 While local residents are not currently a risk for exposure at the moment while the toxins remain more than 10 feet underground, the cleanup process is supposed to start following the demolition of the building which could start later this year following approval of the proposal of the cleanup plan by the state. 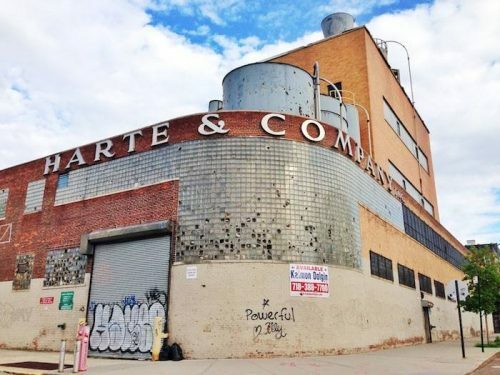 The North Greenpoint region is expected to see a population boom with the Greenpoint Landing development bringing 5,500 new residential units to market in the coming years on top of the neighboring construction on West and Franklin streets. 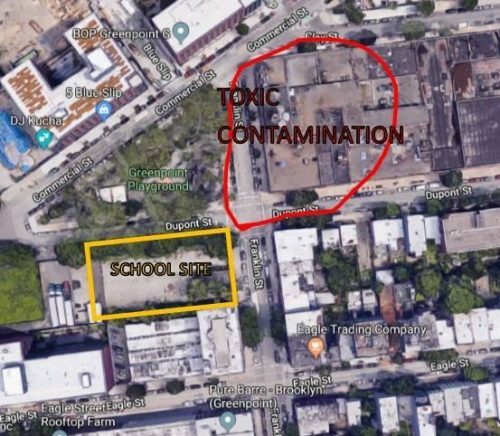 The planned development by All Year Management at the NuHart site (known as 22-26 Clay St.) following the cleanup consists of a 244,000 square-foot mixed use building with 325 residential units, The Real Deal reports. 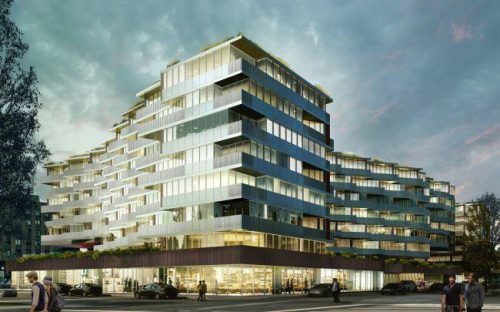 Yoel Goldman who heads the development group has come under scrutiny following the downgrading of the company’s bonds on the Tel Aviv Stock Exchange, leaving further questions over the future of the site.